Looking for the right people to build you a web site? How about someone to hold your hand... talk about domain names, web site hosting, search engine submissions, basically walk you through the process, and do it right the first time? Or maybe you know what you want, but need it done yesterday? Already have a web site, but would like something different, dazzling, or one that just attracts business? Still not sure, need a little marketing or advertising consultation? Don't live in Omaha or know where it is for that matter? Doesn't matter, that's why they call it the World Wide Web. We create multimedia solutions for you and your business. Simple, straight forward, custom web site designs, that work for you. If this is the place for you, please Contact Us and lets get to work! 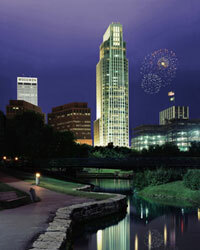 Copywrite© 2003 - 2005 MILROY MEDIA PRODUCTIONS, Omaha, Nebraska 68007 U.S.A. All rights reserved!